Giulia special is that she takes on many different roles that have helped her make a meaningful difference in her field of research, the IDE faculty and the lives of her students. She re­searches the strategic role designers can play within businesses. Her research forms the base of her courses, but her courses also help her with her research. Her classrooms are defined by ‘discussion based teaching’, where she stimulates discussion, con­frontation, and debate among the students. She also pioneered blended and online education at her faculty, expanding her student base globally. Giulia Calabretta is Assistant Professor in Strategic Value of Design at Faculty of Industrial Design Engineering, Delft University of Technology. 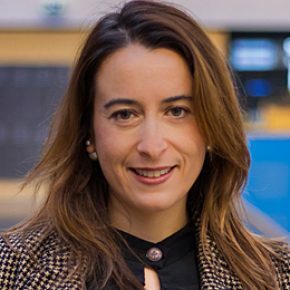 Giulia has a marketing background and holds a PhD in Management Science from ESADE Business School (Spain). Giulia believes that design and design practices are the right way to go for making companies more innovative in their DNA and prepare them for the behavioral, technological and cultural revolutions of the future. So her current research focus is on understanding how design practices and capabilities can be effectively and permanently integrated in the innovation strategy and processes of companies. Additionally, she is interested in what makes a great Chief Design Officer and why each company (and institution) should have one. Her research has been published in such journals as Organization Studies, Journal of Product Innovation Management, Journal of Business Ethics, Journal of Service Theory and Practice, Journal of Service Management.